Owned and operated by 32Red group. First class Microgaming casino offering. Players looking for more than an English language Microgaming casino might find more variety elsewhere. 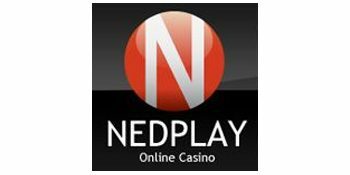 Nedplay.com is part of the 32 Red group of online casinos which was created in 2002. It is licensed by the Government of Gibraltar and provides clients with one of the most extensive gaming catalogues available: over 500 games. The online betting establishment mainly caters to players in Europe but is however prohibited to players from the United States. Nedplay.com accepts a wide range of credit and debit cards as well as e-wallets for processing transactions enabling its clients to make deposits or withdrawals with an additional degree of convenience. Nedplay.com possesses a collection containing over 500 games including casino card staples such as Roulette, Blackjack, Poker, Baccarat and Craps. Additional gaming categories include video slots, and slot machines. In keeping with its status as a 32 Red casino, the online betting establishment makes use of powerful software provided by Microgaming which has become renowned for providing immersive and entertaining games. All games are available in downloadable, mobile and instant play versions and players may play for fun or for cash according to their preference. First time players at Nedplay.com who deposit between 50 and 10 chips are eligible for a 100% first deposit bonus of up to 100 chips. Clients who maintain an active account also receive a monthly 100% deposit bonus of up to 25 chips. The casino also provides $250 Daily Freerolls for fans of slot machines with prizes of up to $75 for the first place and a reward for the first ten players. Participation is free and it is an excellent opportunity to enjoy a tournament for free. Nedplay.com also runs Avalon Tournaments with a $250 Prize Pool which run for 24 hours daily in the download lobby. There are also prizes for the first 10 places. The tournaments can be accessed via Tournaments > Slots > Casino Specials. Nedplay.com is regulated by the Government of Gibraltar which is a stalwart in the betting industry. It is known for its strict compliance standards and clients can be assured of the legitimacy of the online casino. In addition, the casino’s parent group, 32Red Plc has implemented the latest technologies available and the strictest procedures to enhance the security of the website and of its clients ensuring that any data which they use during registration or a transaction remains totally safe and confidential at Nedplay Online Casino. Nedplay.com is an Ecogra listed site and employs the very latest security encryption methods to protect transactions as well as the privacy of its registered members in addition to which it is also audited independently. Nedplay.com mainly caters to players from the United Kingdom, Australia, Canada, Germany, Japan and the Netherlands. It is however prohibited to residents of Belgium, Denmark, France and French Territories, Greece, Hong Kong, South Africa, Spain, Turkey, the United States of America, the US Minor Outlying Areas and the US Virgin Islands. Nedplay.com’s member’s area possesses a simple, orderly layout. Essential features the client requires to settle down right away with the entertainment of their choice such as the main gaming sections, customer support and the wallet management sections are all provided. Credit and debit cards including: Visa Electron, Visa Delta, Switch, Solo and Maestro. Major e-wallets: PayPal, Skrill, Ukash, Neteller (only available for transaction in Euros, Dollars and Pounds) and Eco. Wire transfers are also accepted although this method requires additional information which can be obtained on http://nedplay.com/banking/direct-wire-transfer.html. Detailed information on available payment methods can be found by clicking the link provided: http://nedplay.com/banking/purchase-chips.html. Nedplay.com makes use of a loyalty scheme which employs Nedpoints that are issued to customers while they enjoy their favourite games with one Nedpoint being worth 10 chips. They can be exchanged for casino bonus credits and 1000 Nedpoints are worth 10 bonus chips. Different games provide different numbers of points and the amount for each game can be verified by clicking on My Account in the casino lobby. Nedplay.com permits a minimum deposit and withdrawal amount of$/€/£ 20 for all payment methods used by players to process transactions on its website except for wire transfer which has a minimum withdrawal amount of $/€/£100. Fees may be charged for transactions made below the specified amounts. Nedplay.com’s highly experienced customer services team are available 24 hours a day and 7 days a week. They can be contacted via phone, email ([email protected]) or by fax. Nedplay.com has a track record of efficient, friendly customer service provided by knowledgeable and experienced staff, innovative and immersive games, generous bonuses as well as exciting tournaments. The fact that it permits the use of major credit and debit cards as well as e-wallets ensures that payments can be processed with ease and the promptness with which such transactions are possessed have also been listed as one of the online casino’s positive points. Nedplay.com is owned by the 32 Red group which makes use of Microgaming software for its casinos. Clients can look forward to enjoying an extensive games catalogue full of colourful graphics, vivid sounds and immersive gameplay which is rivalled by only a few other offerings offered by gaming software providers within the industry. They also get to enjoy such fun filled entertainment within a safe and regulated environment which is licensed by the Government of Gibraltar which upholds the highest standards of online gambling practice and client security.